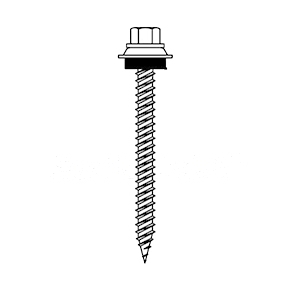 Self-tapping sharp point screw for fastening metal panels to wood members. Self drills through metal panels up to 28 gauge. Zinc plated and then Silver Sentri Coated for great corrosion protection. Threads: Standard and Hi-LO thread designs.